The Buta-Ningi, also known as the Butawa, are a small ethnic group found in the Ningi plateau region in the Bauchi Province of Nigeria. Some have also settled in the Kano Province. Burra is their capital, where they claim to have lived for many generations. 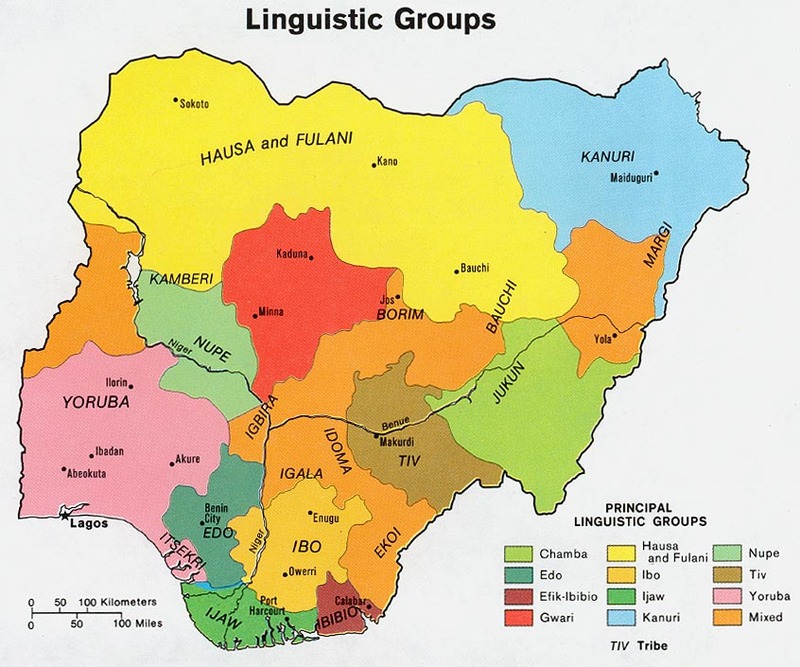 Their language Ningawa is rapidly disappearing; Hausa is the language spoken by most. Even Butawa children are now taught the dominant Hausa language. In culture, politics, and geography, the Butawa, are similar to the Warji and Afawa peoples; in religion, they have been greatly influenced by their dominant Hausa and Kanuri neighbors who are Muslim. Consequently, although there is a secondary public school nearby, the Butawa prefer to send their children to Islamic schools. Butawa also have begun to follow the customs of the Hausa, for example in the way they dress and in their yearly festivals. Some believe that if such adaptations persist, the Butawa tribe will cease to exist as a distinct people. Most Butawa earn their living by farming. Guinea corn and millet are their staple crops. Some Butawa keep animals such as sheep, goats, and cattle. Nomads from the Fulani tribe often tend the animals for the Butawa. Butawa also engage in hunting, fishing, and especially trade (due to Hausa influence). Some Butawa have become specialized, for example as barbers or blacksmiths. Since Butawa are famous for their knowledge of medicinal herbs, some also have become herbalists. Ritual specialists such as cult-priest and drummers are also found among them. Butawa marriages are usually done by exchange: A girl from one clan will marry into another clan. That clan, in turn, will supply the first clan with a girl from one of its families. If an exchange is not possible or the girl does not agree, sometimes a "bride-price" (a gift to the girl's clan) will be paid. Divorce is very rare and there is no courtship among young couples. After giving birth, a mother will remain secluded for several days, after which time she will stand with her child in front of her hut. She then will be greeted by friends and presented with food from her husband. Afterward her child will be given an ancestral name. The initiation rite of boys is very important for the Butawa. Boys over seven years of age are brought to the sacred grove of the forest to be circumcised. For two months, they are secluded, except when the village men bring them food. During this time, with the help of the dodo (masked ancestral image), they are taught the secrets of the tribe, urged to follow in the footsteps of their ancestors, and taught to respect their fathers and elder brothers. The Butawa have several cultural festivals, some of which they still celebrate today. The Gwarma Gom is a thanksgiving to the gods each January, during which Butawa compose and sing new songs. In their mourning festival every two years, Butawa remember the dead. They visit graves and shrines, sprinkling them with blood, and the dodo dances in public. There is also a youth festival in which the youth dance to demonstrate their strength and power. Recently, the Butawa have begun to accept Islam as their religion. Less than half of all Butawa still follow their traditional ethnic beliefs. They traditionally worship family gods and ancestors at village shrines or in secret hidden places in the forests or in rocks. The cult of the dodo is extremely important to the Butawa. They value tribal secrets and practice religious traditions handed down from their ancestors. Butawa also believe certain people have the power to turn themselves into animals, especially elephants. A large majority have not had an opportunity to hear the Gospel. Much evangelistic work and prayer are needed for this tribe to be exposed to the Gospel. * Scripture Prayers for the Buta-Ningi in Nigeria. * Ask the Lord to send forth qualified laborers who understand Butawa culture to work with the people. * Pray that God will give Butawa believers boldness to share the love of Jesus with their own people. * Pray that Butawa leaders and other key figures from among the people will be saved. * Ask the Lord to bring forth a strong and growing Butawa church for the glory of His name!